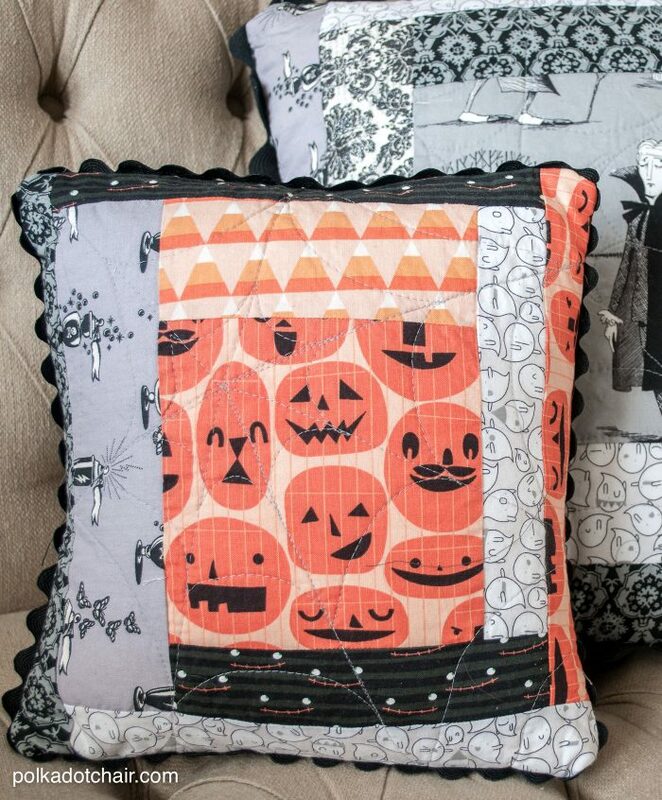 Today’s project are these DIY Quilted Halloween Pillows. 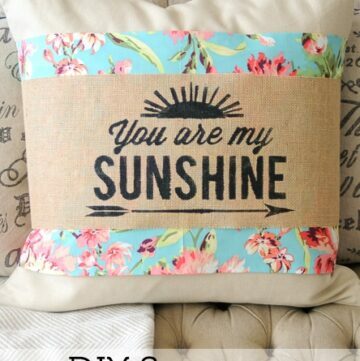 If you’d like to know more about making quilted pillows then just hop on over to this Quilted Pillow Tutorial Article. 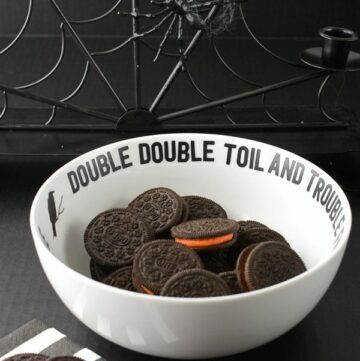 This is the last Halloween project that I have to share with you. Between you and me, I’m ready to move onto the next holiday- or something else entirely. I came up for the idea for these pillows in August, and since I knew I wanted to make serveral of them I started early. I got a good head start, then had to put them away to work on some other projects. I JUST finished them up, I ended up doing all of the quilting yesterday. 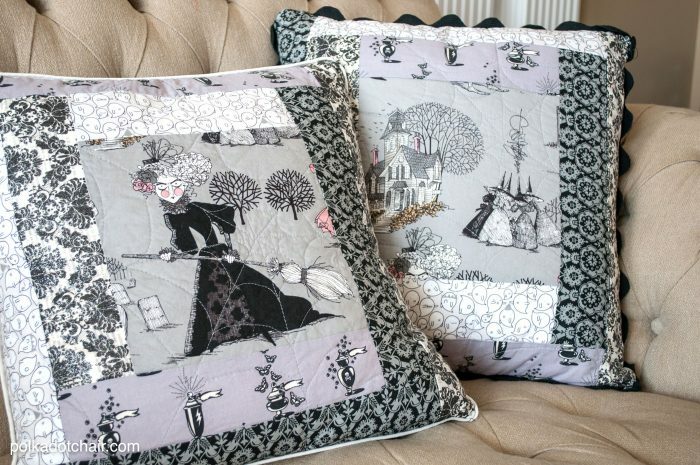 I don’t know if you can see from the photo above, but I quilted spiderwebs onto each one. 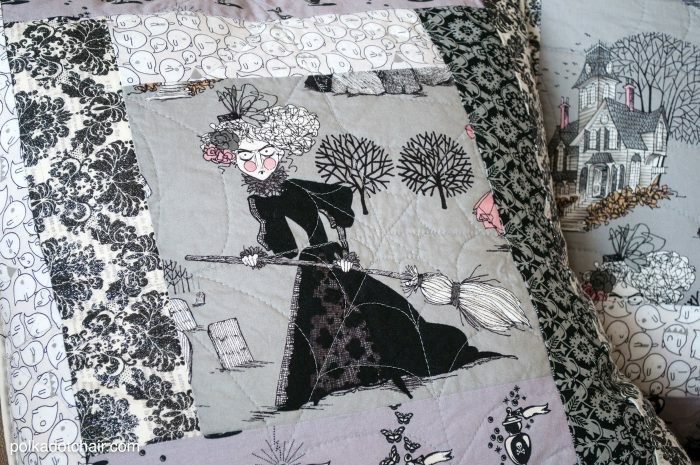 The spiderweb pattern was very easy to quilt. So much so that I wish I could find a reason to use it on more projects. 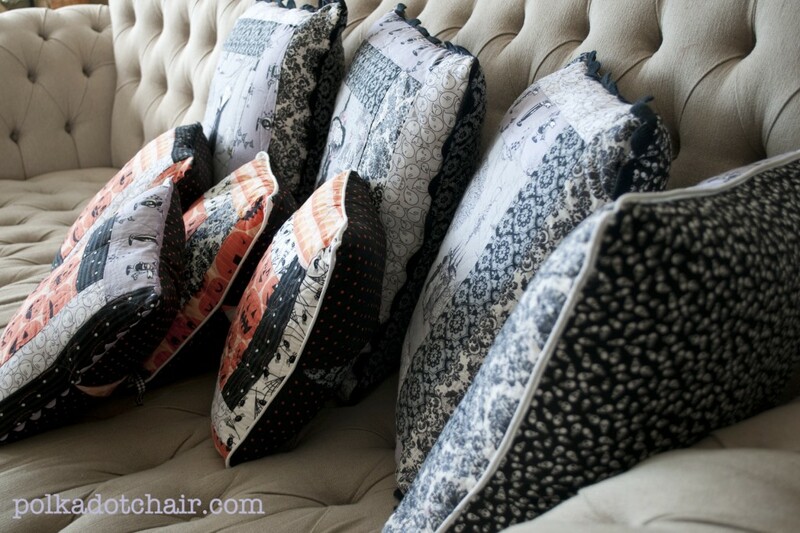 I made 4 large pillows about 20″ x 20″ and 4 smaller pillows about 13″ x 13″. They are all just basic log cabin blocks, using random 2″ and 3″ strips. 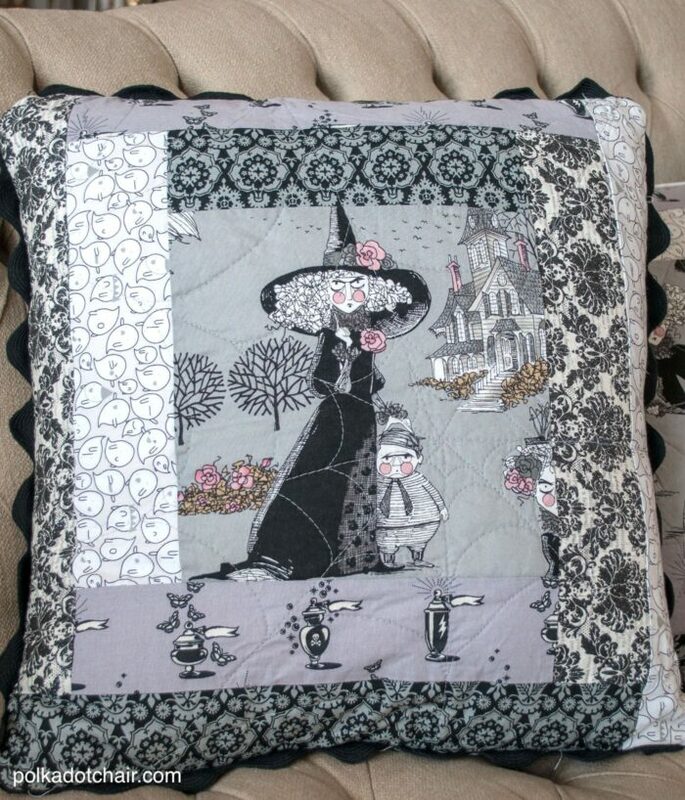 If you’d like to know how to make a quilted pillow like this using a log cabin block CLICK here for the full tutorial. 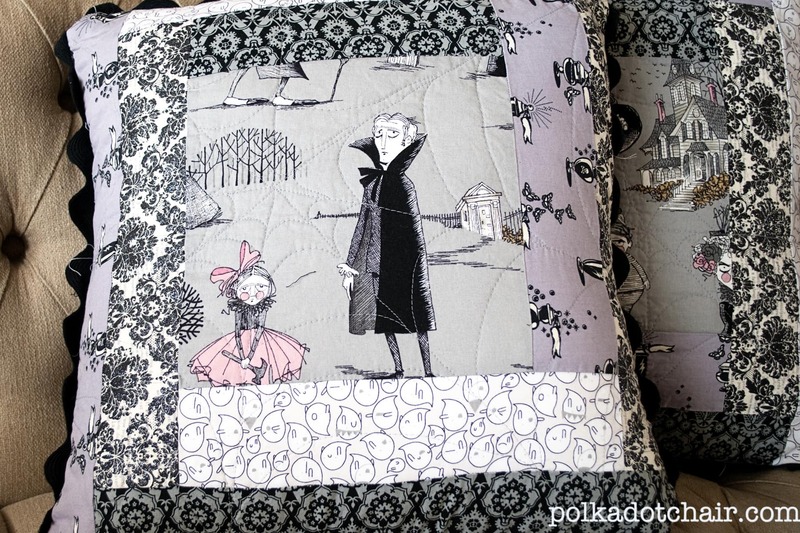 The center of the largest pillows is fabric from Alexander Henry, called the Ghastlies. 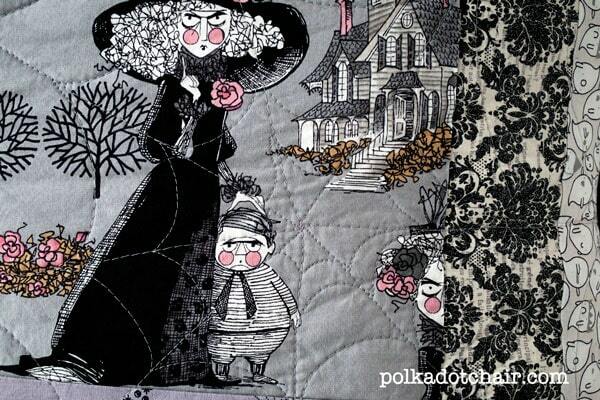 It has to be one of my all time favorite Halloween fabrics! I’ve got quite a stash of it now and I’m afraid to cut it up! The rest of the fabrics are from Tula Pink, Riley Blake & Lizzy House. 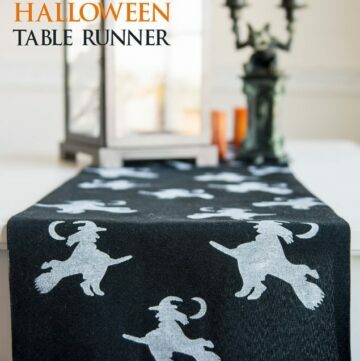 I’ve actually already shared the project that I made with the scraps from the pillows, it’s the Halloween table runner that I posted about last week. Thanks for sticking around with me this month! 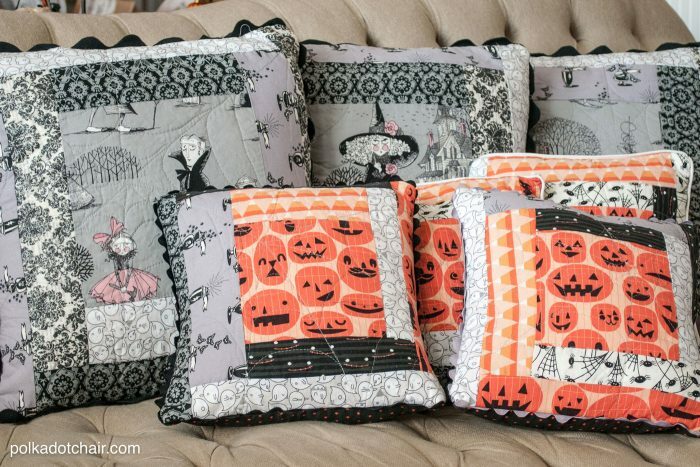 I’ve had the best time dreaming up and making Halloween Projects to share with you. There has been a little bit of something for everyone I hope. I’ve got some fun stuff planned for November and December. Watch for some Thanksgiving projects next week — I’m not one to let Thanksgiving get lost before Christmas…. It has to be one of my favorite holidays all year. These look great! Nice job! Those are just awesome! 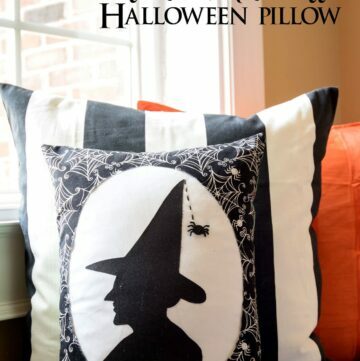 I love the witchy pillows!